Cherokee Truck Equipment is a proud Authorized Dealer of the Ramsey Winch product line. The Ramsey Winch unique mission statement is listed below. • Establishing Ramsey Winch as a world class supplier of consumer and industrial winches by emphasizing quality in customer service, product design and manufacturing capabilities. • Maintaining and expanding the reputation for being responsive and supplying products and services which meet Ramsey Winch’s Customers’ delivery and technical requirements. • Developing a competitive advantage by attracting and retaining high talent people at all levels and in all areas of our business. 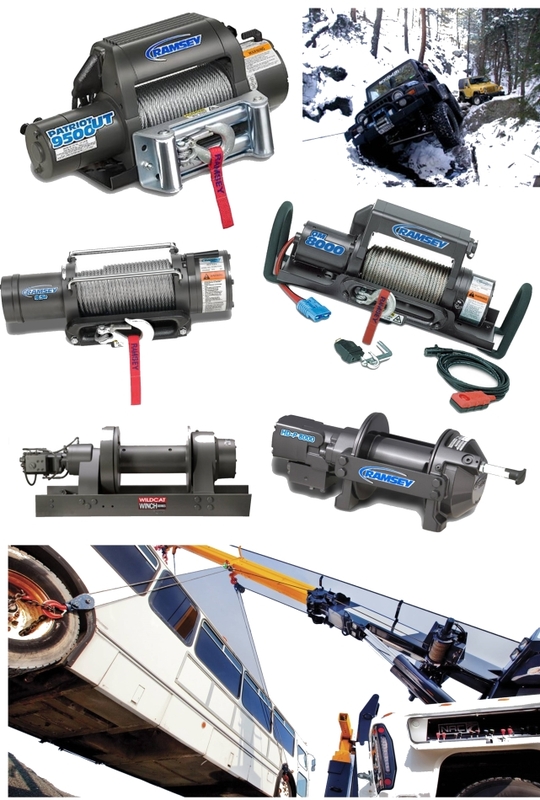 Ramsey Winch products include a full line Hyrdaulic Planetary Winches, Hydraulic Worm Gear Winches, Electric Winches & a numerous amount of Winch Parts & Accessories. These Winches and associated accessories are engineered & built specifaclly for applications in the Utility, Towing & Recovery, Industrial, Off Road & ATV markets. Your authorized dealer, Cherokee Truck Equipment, offers the complete line of Ramsey Winch consumer & industrial, World Class products. Ramsey Winch products are available to the Southeats thru our locations in Chattanooga, Tennessee and Mableton (Atlanta), Georgia. Contact Us for your Ramsey Winch Products Today!